Cleopatra of the Sungue pride stares us down and demands respect. We know better than to get too close. We will observe her strength and beauty from afar. It’s the dry season, so it’s not the height of Gorongosa’s baby animal season (that usually happens in the spring as rains recede). But there are still plenty of baby animals around, which is a good sign! Carlos Serra captured this particularly adorable photo shoot of a baby vervet monkey with its family. This is a rare showdown caught on camera – two lion cubs stare down a hippo in the floodplain deep inside Gorongosa. Even at this young age, I think these two cubs know better than to mess with a several ton hippo. Hippos are notoriously territorial and, even though they only eat plants, they are considered one of the most dangerous animals in Africa. These two cubs are keeping a safe distance but their curiosity is getting the best of them. 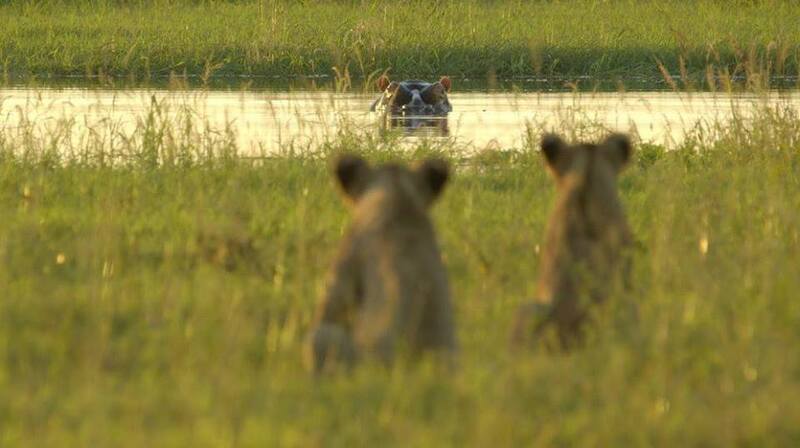 Two lion cubs stare down a hippo… or maybe its the other way around. 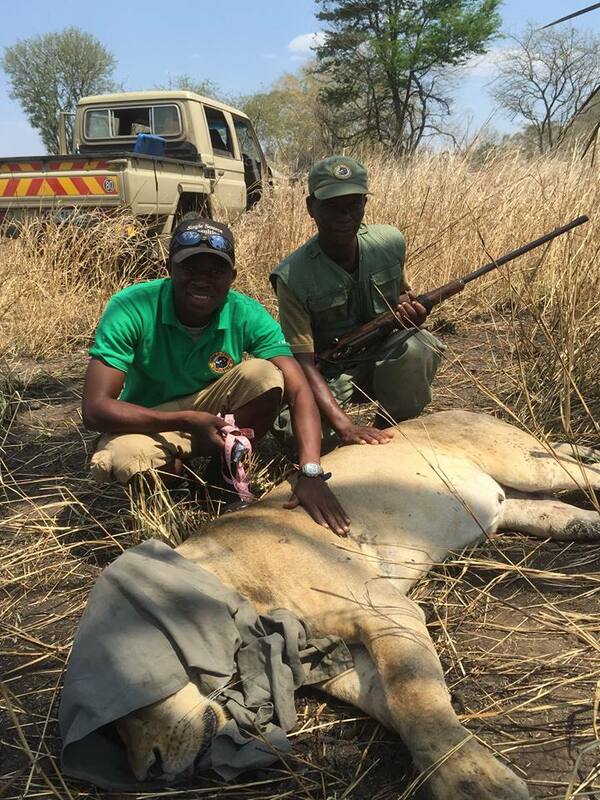 Gorongosa’s rangers are constantly on patrol removing poachers’ snares before they capture their next victim. Sometimes, they are too late, and an animal is captured in a snare. If we’re lucky, the animal will still be alive when they find it. In the case of this baby elephant who was found caught in a snare, she was very lucky. A rescue team, including our own vet, Rui Branco, tranquilized the baby and it’s mom, so they could safely remove the snare. After baby was freed, they both woke up and went back to their elephant ways. We hope this young one will have a very long and healthy life ahead! 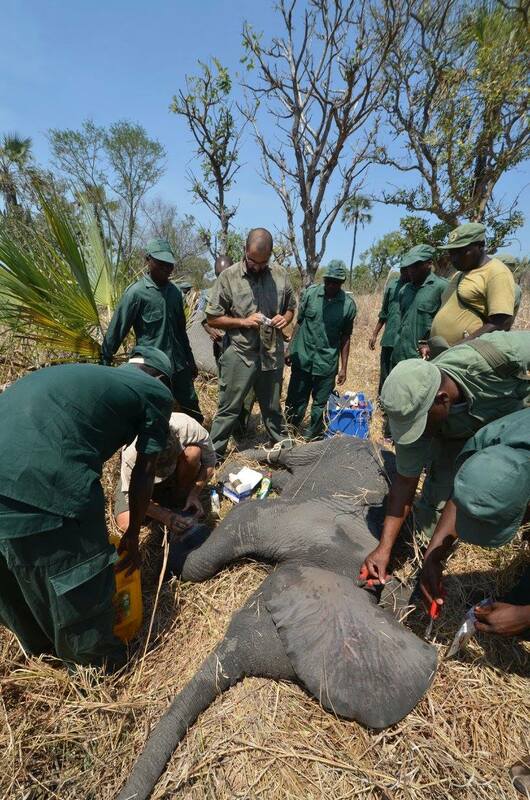 This baby elephant and its mom were both tranquilized so the vet team could remove the baby’s snare safely. 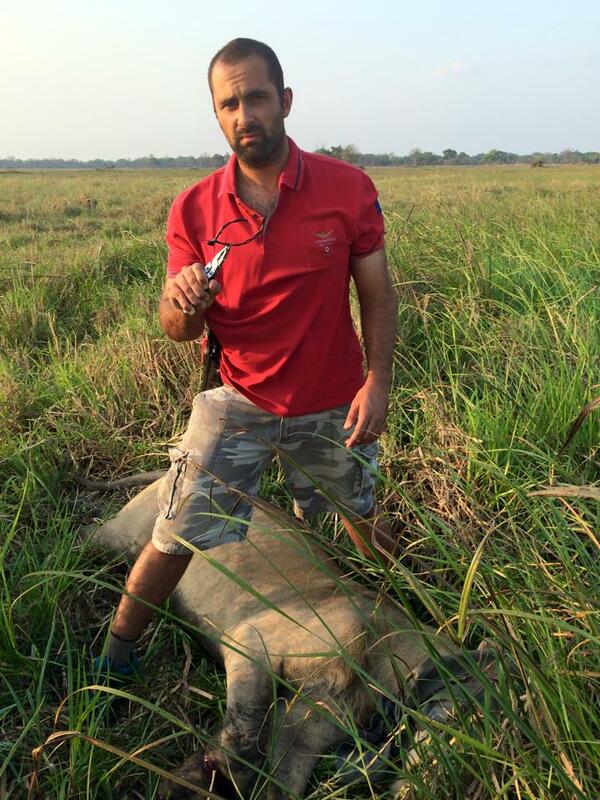 Our vet, Rui Branco, performed the operation. 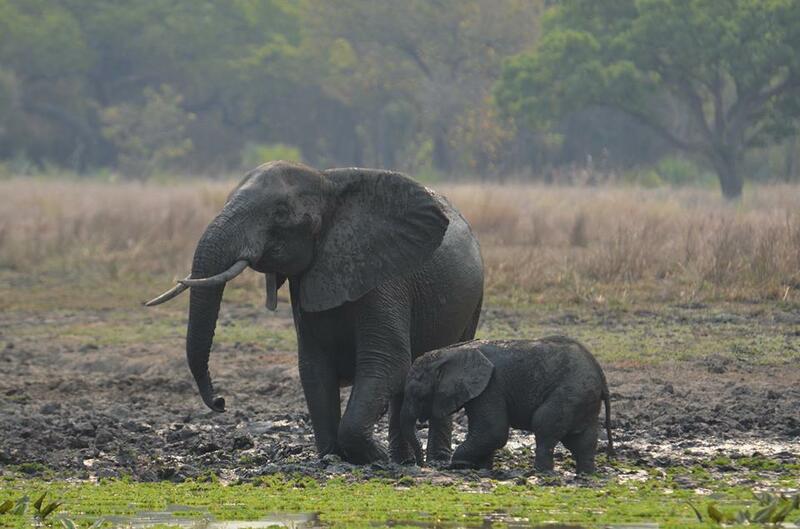 The baby elephant and its mom are both doing just fine after the snare was removed. I had a very rewarding day today. A group of students from Casa Banana, a local village, came to visit the park. 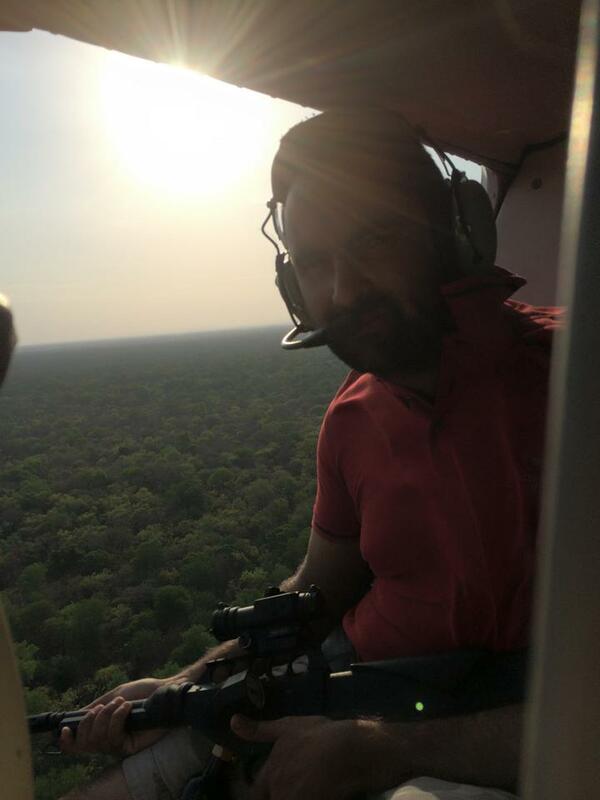 This is an incredible opportunity as most of these students have never been inside this national park that they have lived next to their whole lives. 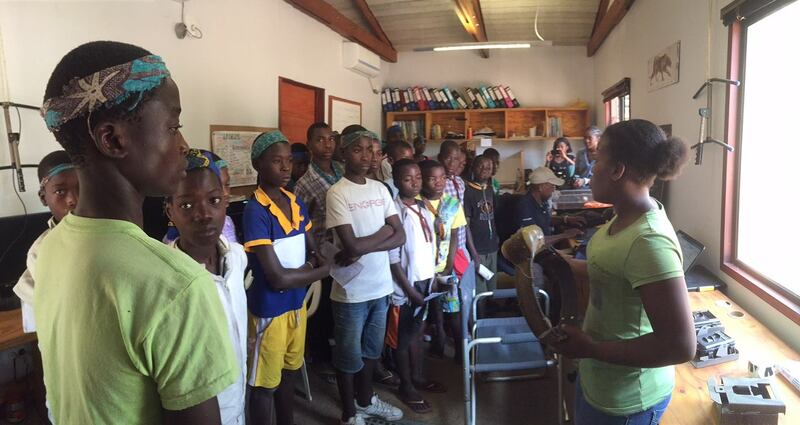 The community education department in Gorongosa brings these school groups in to learn about the science and conservation that is happening here. 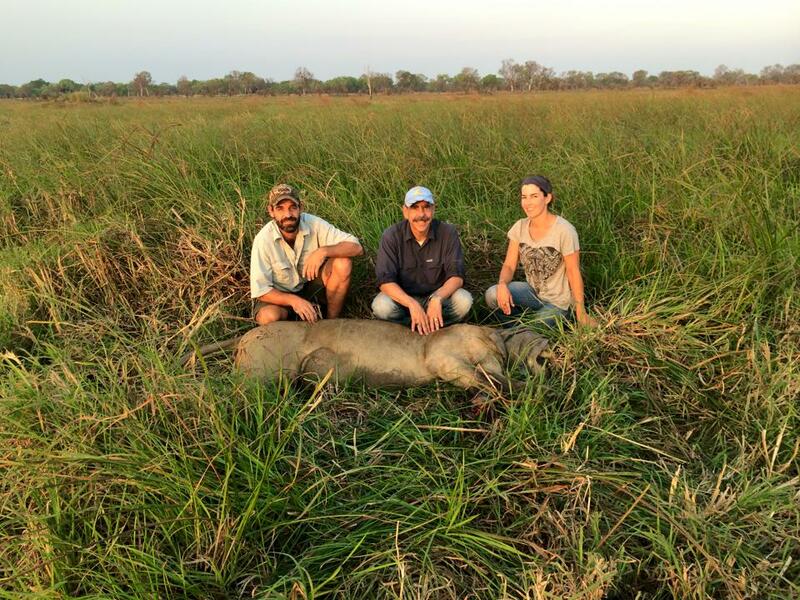 I had the privilege of speaking with them about our work tracking lions. They were very curious about the satellite collars that we use to track lions. The more the young neighbors of Gorongosa understand about the importance of lions, the more they will want to protect them!